Greenacres Cottage is an 18th century, character cottage, attached to the owner's annexe in the village of Lindale-in-Cartmel near to the town of Grange-over-Sands in the Lake District National Park. 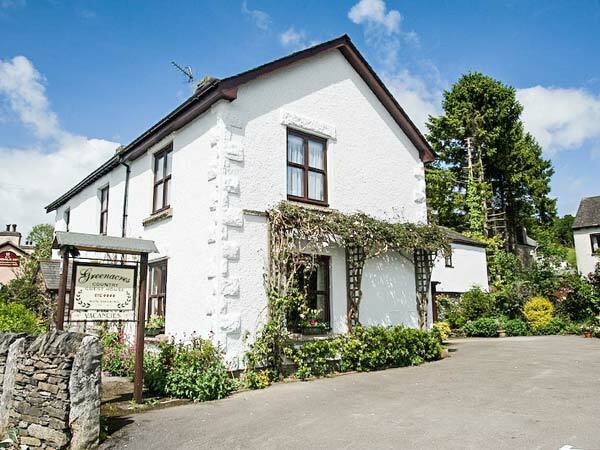 This cottage can sleep ten people in five en-suite bedrooms consisting of one king-size double, two doubles and two twins. The rest of the cottage contains a kitchen, study, dining room, and sitting room and woodburning stove. To the outside there is off road parking for five cars and a lawned garden with patio summer house and furniture. 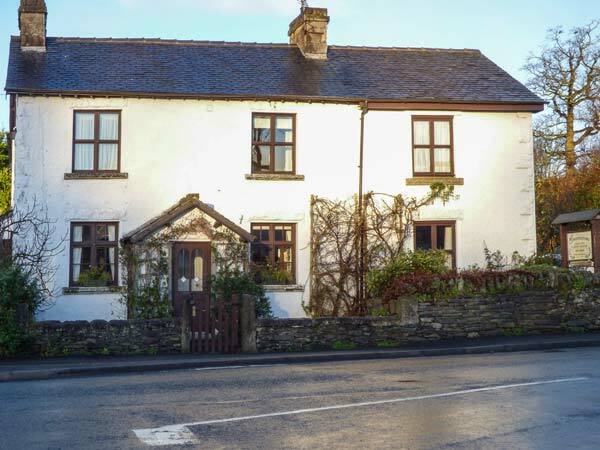 Greenacres Cottage is ideally situated for families or groups of friends looking to explore the nearby towns of Cartmel and Grange-over-sands, as well as the Lake District National Park. Five bedrooms with TV: 1 x king-size double with en-suite bath, shower over, basin and WC, 2 x double with en-suite bath, shower over, basin and WC, 1 x twin with en-suite shower, basin and WC, 1 x twin with en-suite bath, shower over, basin and WC. Ground floor basin and WC. Kitchen. Dining room. Sitting room with woodburning stove. Study. Gas central heating with woodburning stove. Electric oven and hob, gas oven and hob, microwave, fridge, freezer, washing machine, dishwasher, 6 x TVs with Freeview, DVD, WiFi, selection of books and games. Fuel, power and starter pack for stove inc. in rent. Bed linen and towels inc. in rent. Travel cot, highchair and stairgate in property. Off road parking for 5 cars. Lockable bike storage. Lawned garden with patio, summerhouse and furniture. Two well-behaved dogs welcome. Sorry, no smoking. Shop 5 mins walk, pub 10 mins walk. Note: From the top of the stairs, there's one additional step to the twin and one of the double rooms and there's two additional steps to reach the other bedrooms. Note: There is a stream in the garden, children and pets to be supervised. Note: No stag/hen or similar. Note: The property is available for a maximum of 10 guests and a maximum of two dogs. We also have details of 58 other similar properties nearby which might suit you.